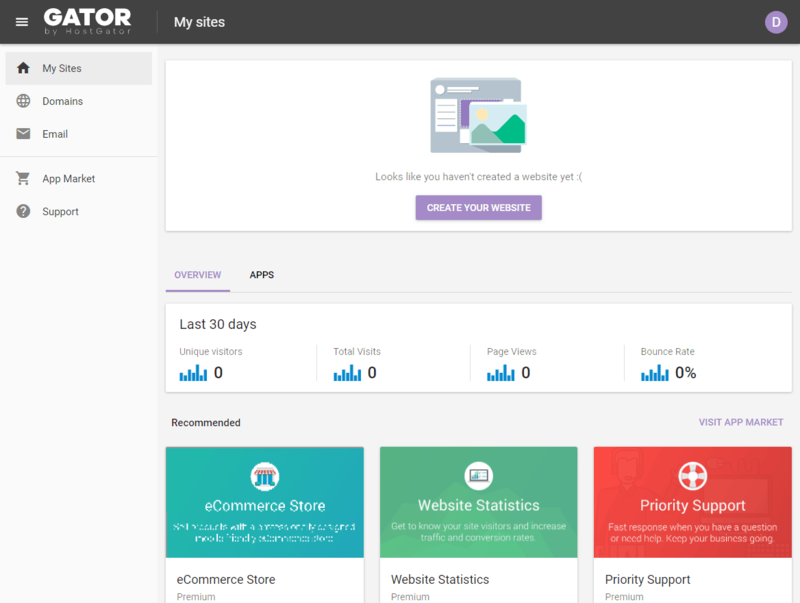 GATOR Preview – Does this Site Builder Live Up To Expectations? HostGator is best known for their simple shared hosting services. They’re not high performance, but perfect for people getting started with a small site that don’t want to deal with a lot of technical issues. 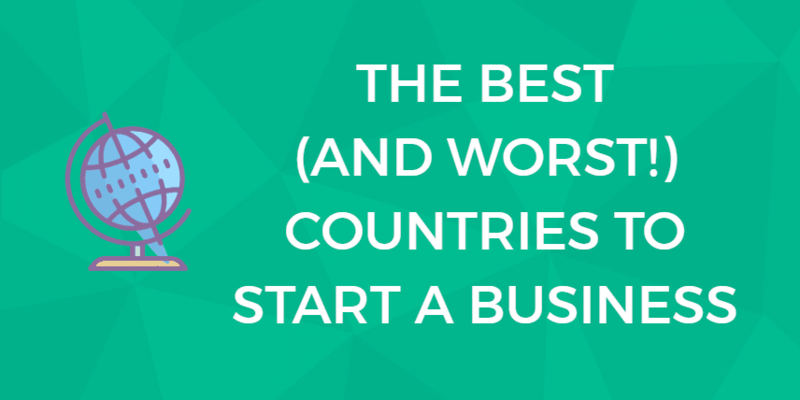 This includes small businesses, but also hobbyists. But WordPress can still be a pain if you’re brand new to web development of any kind, and if you just need a simple site, it may be overkill. That’s one of the main reasons that HostGator finally created their own site builder, called GATOR. It’s cheap, easy, and there’s no need to ever touch a server or control panel. In this review, I’m going to show you what GATOR looks like behind the scenes so that you can decide if it’s the right fit for you. Keep in mind that GATOR is relatively new, and it will likely be improved over time. Is GATOR Suitable for E-Commerce? Getting up and running with GATOR is painless. You start by choosing a domain name to register to your account. You can bring your own domain name, but that link is rather hard to see. It’s clear that they’d rather you register a domain through them. That’s not necessarily a bad thing to do, since 12 and 24-month plans come with a free domain. Note that if you do cancel your account at any time, you have to pay a non-refundable fee for the domain. 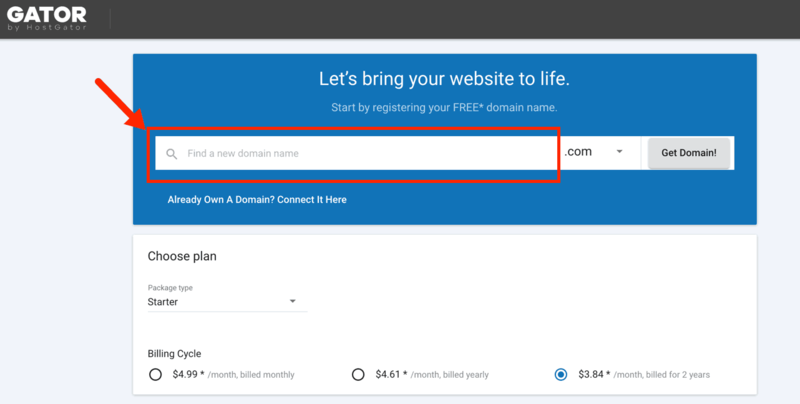 You’ll pay more for domain registration through HostGator than a third-party domain registrar, but it’s also more convenient since you don’t need to point your domain’s name servers to your HostGator account. There are 3 main plans to pick from, and all of them are fairly similar. And a few other basic features. The “Premium” and “eCommerce” plans also have priority support. If you need help, you jump straight to the front of the support queue to get support as quickly as possible. The “eCommerce” plan is the most expensive, and the only one that has built-in eCommerce features in the site builder. If you plan on selling things through your site, you’ll need this plan. After picking a plan, you’ll be prompted to pay for it and fill out basic account details. Once your account is setup, you’ll be taken to your main dashboard, which has a modern user interface, and is simple to use. This is where you’ll see stats about your site, and add apps. More importantly, you can click the “create your website” button or go the “my sites” section to create your first site. When you create a website, the first step is to pick a theme, which controls the basic design and layout of your site. You can always customize it later, so just pick one that’s similar to what you’re aiming for. You can choose to filter themes built for a specific type of site by category, or search by keyword. All the themes have a modern design and are responsive. The library is already large, so there’s plenty to choose from. If you click preview for any theme, it will open in the same browser window. There will be a small ribbon on the top of the screen that lets you toggle the view from desktop to mobile. When you decide on a theme, click its “edit” button to select it. At this point, your basic setup is done. Now we move onto customization, which is all about the site builder itself. The theme you selected will be loaded, complete with placeholder text for now. The site builder uses a standard drag and drop interface. The site preview and interface appears on the main right panel, while your menu is on the left side panel. Again, it has a modern design with an intuitive user interface. You can click on any element on the main right panel to edit it. Once you click an element, a small menu will pop-up right above it, letting you change everything from font color to alignment. You edit the text just like you would in a standard text document. You can also click and drag around elements to move their location. 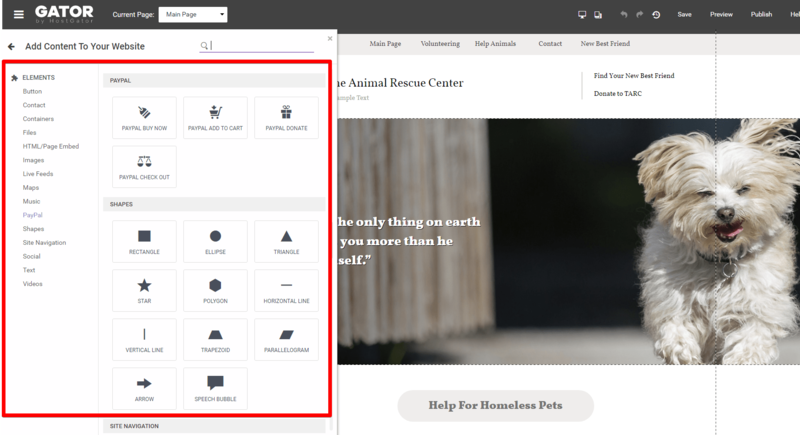 Most themes won’t be perfect for your site out of the box, so you’ll need to customize them. GATOR gives you near full control of customizing the look and layout of your pages, but does so in a way that’s simple to understand. There are 2 main ways of customizing the design of a page: the menu, or the site preview. Clicking on a page will open it in the editor in the main panel so that you can edit it. If you’d like to add a new element to the page (a button, image, text box, etc. ), you go to the “elements” menu option. There are tons of elements to choose from, so many that I can’t list them all here. Most notably is that you can pick an element like Google Maps or PayPal, and easily integrate a map or payment button into your page. When you click an element from this menu, it’ll stick to your mouse cursor until you click somewhere in the editor where you’d like to put it. You can always drag it around later if you don’t like the initial location. On any page, you’ll likely have multiple sections. Sections are small containers that can hold elements and have their own custom styles. They can also be rearranged on the page so that instead of moving around all the elements one-by-one, you just drag the entire section. You’ll use the “section” menu option to manage your sections. It lets you add new sections with just a click, or rearrange their order easier than using the editor to do it. This gets more convenient as your page gets longer. Finally, what about colors and styles? To change the actual look of elements and sections, you’ll use the “design” menu option. This is where you’ll choose global design settings. 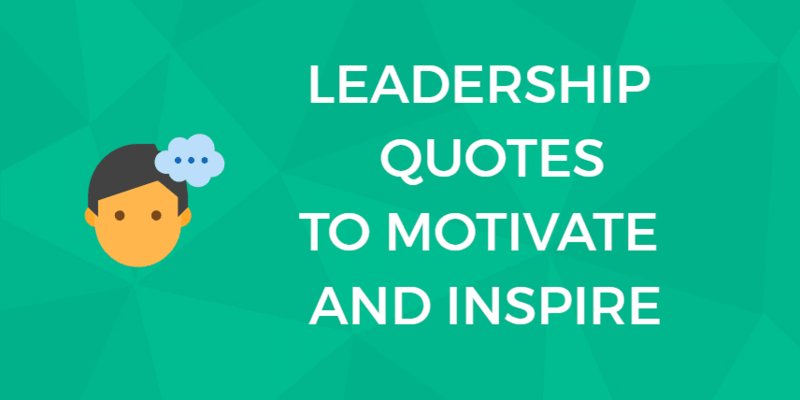 This includes color scheme, heading fonts, and text styles. I mentioned that there are 2 ways to customize your page’s design. You can also select sections individually in the editor, and that will bring up a pop-up that lets you edit that section’s style individually. Unlike the “design” section, these style changes will not apply to other sections. There are a lot of advanced customization options here, including being able to add animations for individual sections (e.g. “fade in”, or “bounce in”). Unlike WordPress, your GATOR site isn’t a blogging platform by default. If you’d like you, you have to add one. It’s simple enough, just click the “Blog” menu option on the left side. This template will decide how your blog posts look, as well as your blog page itself (that lists all the posts). On your blog management page, you can see all your posts in an easier to browse tile layout, and you can also toggle your RSS feed on or off. When you click the “edit” button for one of your blog posts, or you create a new one, you’ll see a simple set of inputs, and a WYSIWYG editor, similar to WordPress. There aren’t quite as many options in the text editor compared to WordPress, but all the essentials are there. The final main menu option is the “manage” option, where you’ll find most of the global site settings. View save history and revert to an old version of your site. Connect social accounts for almost every notable social network. Collect payments through PayPal (set email address here). Setup redirects for any pages on your site. Connect Google Analytics if the built-in stats are not good enough. See your mailing list and form submissions. “Advanced” lets you set basic SEO meta tags for the site. 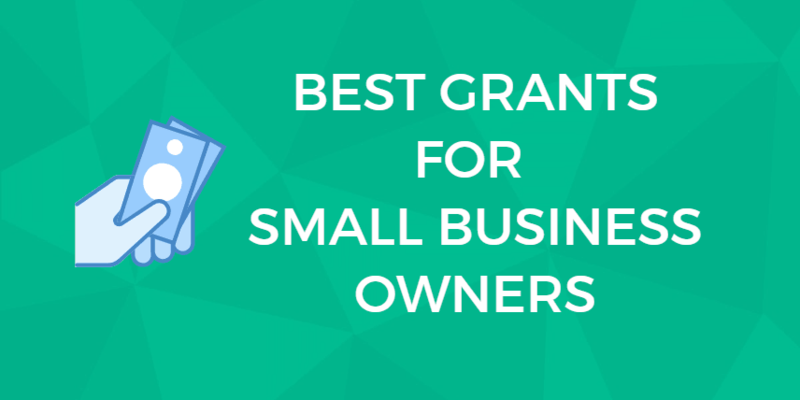 It has all the basic configuration most small businesses or hobbyists need, plus it has built-in functionality to collect email addresses and payment through PayPal. These are free here, where you would often have to buy a separate tool if you use a different sitebuilder. If you’re willing to buy the “eCommerce” plan, GATOR will work well for a small e-commerce site. Now that you’ve seen what the site builder itself has to offer, there are a few other features of GATOR as a platform that you might be interested in. Expect a similar level of support for GATOR as you would with HostGator shared hosting. It’s available 24/7/365, but won’t be the highest quality. As mentioned before, the higher tiered plans come with priority support. If you use a free or basic account, you may have to wait in line when you need support, depending on how busy it is. One aspect of support that I was impressed with was the knowledgebase. The knowledgebase articles are well-written, and have clear images that show you how to fix your problems with the site builder. It’s already very good, and will only get better with time. One useful feature, especially when customizing the design of your site, is being able to see older versions and revert back to them if needed. You can access your save history from the “manage” menu option, or click the clock icon along the top bar of the site editor. When you click a revision, it will quickly load on the main right panel, and you can restore if needed. Not many site builders have this feature. The App Market will function a lot like the WordPress plugin marketplace. 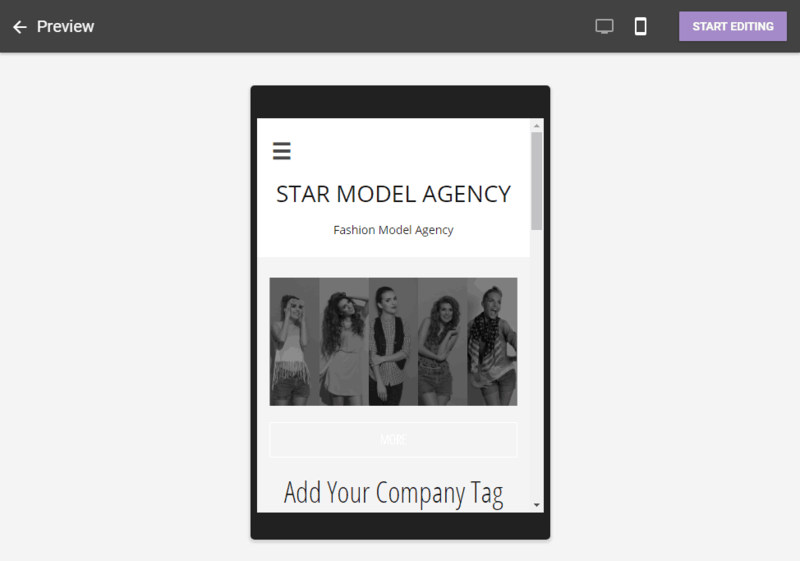 These apps will add more advanced functionality to your website. There are not many apps right now, but it will grow as GATOR becomes more popular, so this is something that will have to be re-evaluated in the future. Note that apps are only available on paid accounts. Setting up email with your site is possible and simple, but unfortunately not free. 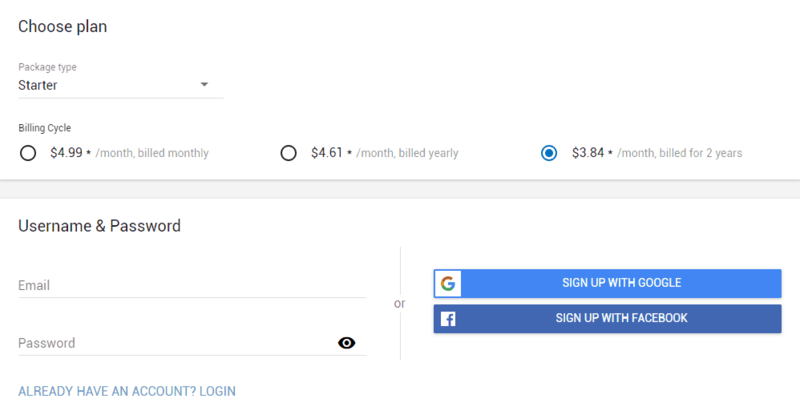 You’ll have to purchase and connect G Suite (Google) for a low monthly cost. This will also get you access to professional versions of other Google apps as a side benefit. Overall, I was impressed with GATOR. It has a beautiful modern design, and I didn’t run into any serious bugs while testing the various features. Can accept payments through PayPal. Large library of modern, responsive themes. GATOR has all the basic features a site builder needs, plus many more advanced ones. It gives you near full control over how your pages look, but does so in a way that’s not complex or overwhelming. This is a hard thing to do, and their user interface designers should be commended. The only significant weakness is that the app market is currently very small, but that will only get better with time. You are here: Home > Website Builders: All The Top Builder Brands Ruthlessly Reviewed > GATOR Websites Review: Right for Your Small Business? Next: Jigsy Review: Underrated Sitebuilder. Here’s Why E-Commerce Buffs Should Avoid It.